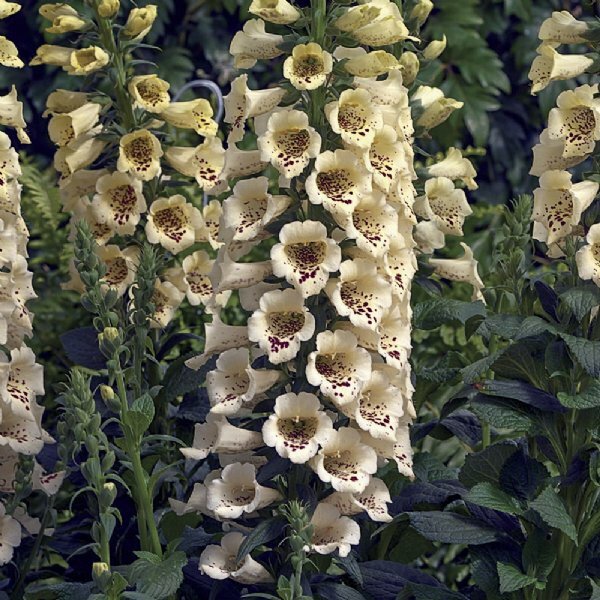 Digitalis Camelot® Cream produces a mass of creamy white flowers, especially the first year of growth. It blooms with 1.5-inch trumpet-shaped flowers that display a combination of cream and stark white with just a smattering of burgundy freckles down the throat. All our 'Camelot Cream' Digitalis Plants are grown and shipped in fine quality growing medium. They are guaranteed to arrive alive and ready to plant.